First off: Excited to announce that today is the first day of my daily Thoughts for Strength over on Patreon! So excited to hear what you all think! 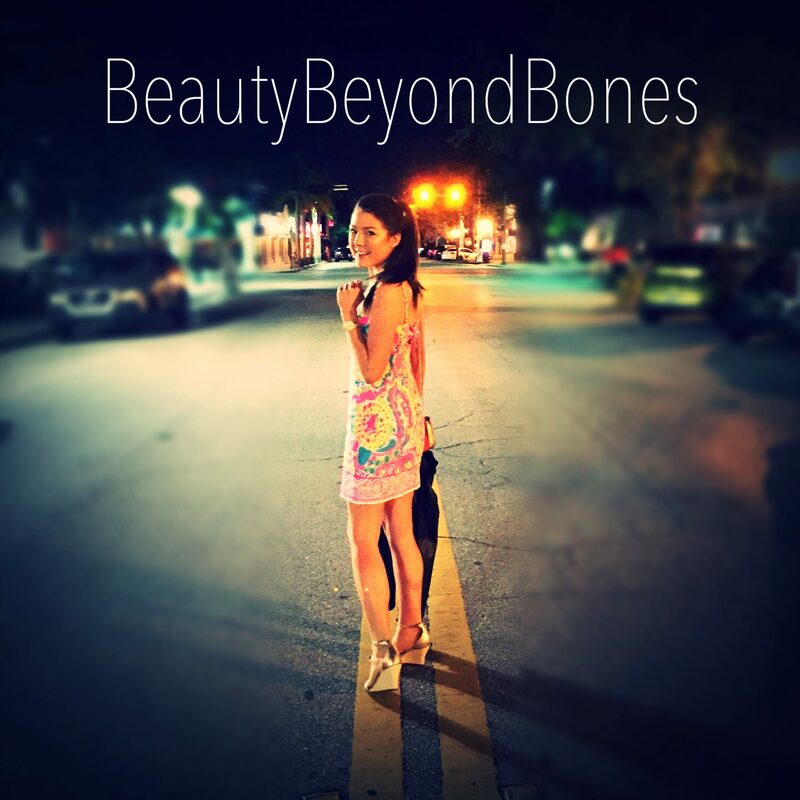 And Secondly, thank you to everyone who signed up for a free trial of Amazon Prime, and who have been using my link: amazon.com/shop/beautybeyondbones over on Amazon. You all rock! OK – onto tonight’s post! You know what we, as a society, take for granted? Veterans Day was over the weekend and honestly, it was like society just didn’t show up. I saw practically zero social media posts, no specials on TV. And if it weren’t for the obnoxious furniture store Veterans Day sale commercials on my music streaming service, the day would have come and gone without so much as a blink. I’m sorry, have we forgotten that these men and women literally put their lives on the line to protect out freedom? Have we conveniently forgotten? We’re taking it for granted. The generation that is coming up has never had to live through an active, draft-the-young-boys war. Seventy years ago during WWII, 18-21 year olds were storming the beaches of Normandy facing an almost certain death. Where as, today, we have to offer “safe spaces” on college campuses to that same age group. What happened? And sure, we’re fighting the War on Terror, but nowadays, it feels like if you even acknowledge that cause, you’re some intolerant, backwards thinking, backwoods bigot. Or even worse, a *gasp* republican. There is a cost for our freedom. Brave men and women have sacrificed their lives, literally, so that we have the freedom to live and go to school, safely live in our communities, Snapchat our opinions, and exercise our right to vote. These are luxuries that, sadly, not everyone has, and we’re just oblivious to the fact that these blessings are not entitlements. Veterans fought for that freedom. And many died for it. I remember back, after 9/11, there was so much respect for our military. I remember in Ohio, near my hometown, there was a solider who was captured and killed in Baghdad in 2004. It was all over the world news. And people came out in droves to support his family and our military. There were bumper stickers. Flags flown from car windows supporting our POWs. We wore rubber wrist bands, a la Livestrong. The state of Ohio named a highway after him. People cared. People recognized and appreciated the incredibly selfless sacrifice that our servicemen and women make to protect our freedom. And we have forgotten. And not only have we forgotten, but it seems as though we almost look at the military, and those who associate with it, as political deviants who are Trump supporters and are a joke. We should be kissing the ground they walk on. These men and women are the backbone of our country. They’re not out there making little snarky political rants on Facebook, or jabbing at our elected officials, or complaining about the current state of Washington, or joking about moving to another nation to escape this insufferable existence we have in our country. Because they’ve literally left their families for months at a time to serve this country and protect you and I from any and all threats. And I, for one, am damn grateful. Veterans Day was a poor display of gratitude, people. It was pithy at best. It’s time we stop and give those brave men and women the standing ovation they deserve. Put aside your feelings about Trump, or guns, or our involvement in the War on Terror, or even your political affiliation, and show some freaking appreciation. Thank you for sharing, this is very true! I’ll be honest and say that there was literally publication of the matter. In fact, I didn’t even know it was Veterans day until late in the day. Not, all of us have forgotten. I had an uncle in WWII. He was in a foxhole and a German tank pulled on top of it saving his life, as they did not know he was underneath it. He laid there in that foxhole for two weeks with that tank on top of him. He could see the feet of the German soldiers walking around that tank. It was winter and his feet froze. When he got out they wanted to give to him military disability which we refused saying, “There are a lot more in worse shape then me.” He worked until he retired with feet problems for the rest of his life. The only time he ever fussed at me is one day I was over there and we had dinner and I did not like something my aunt cooked. So I refused it as a kid does. That is one thing you never did in his home, was turn your nose up to food. When you did you heard the stories of those kids in WWII, with belly’s swollen until they popped open from hunger. as a military spouse i appreciate this post! thanks for sharing your thoughts and thank you for your kind words and gratitude! hugs! I appreciate you thinking about US veterans God bless! You’re very welcome much love to you! BTW i do NOT need to serve in any military branch to understand WHAT MORALITY is and what right and wrong is. NEITHER DO YOU. Just study the bible. ALL WORLDLY WAR IS EVIL EXCEPT SPIRITUAL warfare which is GOOD. My dad was a WWII veteran. He was born on Independence Day (July 4) in 1919. He died on May 15, 2009, in Lilburn, Georgia, at the age of 89. Many of us were fortunate to be raised by a responsible, moral, conservative father — imperfect though he may have been. He scoffed when his children cried, “that’s not fair.” He taught us work before play, the value of money, self-respect, right and wrong, and the limits of government and the power of personal responsibility — if not in words, by his example. I am grateful for many blessings, but a conservative father is chief among them. I use the word conservative with a small “c”. While he voted Republican most his life, politically he was probably a Libertarian. He listened to Neal Bortz everyday after he retired. His conservative world view did spill over into his politics. My own father never organized anyone. He expected people to organize their own lives, and their own communities, free from the obstacle of tyrannical government preferably. He never presumed to rule over another, nor did he expect anyone to tell him how to live his life. He never lectured from stadiums grandiosely flanked by Greek columns, but his words resonated. He never padded a resume, nor embellished, let alone created, his own history. And yet, his history speaks volumes. My father grew up with strong, Christian and Jewish, honorable men who served and defended this great nation, knew hard work (he was 10 when the Great Depression started in 1929), God-given liberty, and right and wrong. My father grew up when Sunday was reserved for family and church; before helmets were required to walk to the mailbox; and before putting the playground bully in his place with a discreet right hook was criminal. He knew how to change the oil in his own car, and how to farm and garden before leftists commandeered produce for social change. He watched great men land on the moon, and even greater men returning from war. He understood why soldiers fought those wars, and he was grateful and humbled. He would never brag about anything. When I asked my dad how he was doing he would say “I got up this morning”. For him, hat was a good day. He fought in World War II and didn’t like to talk about it. He grew up before MTV was around to bash Christians, and glamorize teen pregnancy, victim-hood, bad behavior, and hedonistic drunkards from the Jersey Shore. To my knowledge, my father never dealt drugs, ate dog, nor perfectly recited the Islamic call to prayer. He was a great man of GOD. I honor him and miss him. Thanks for your kind words. Blessings to you. God is with you. I am guilty of not displaying my appreciation publicly. But I am very appreciative of the sacrifices our vets and soldiers made and continue to make. I did work ‘behind the scenes’ by restoring a damaged army portrait of a friend’s grandfather – which he ended up posting proudly on FB. Thanks for the figurative kick in the fanny. Might be a regional thing. I’m so glad you noticed how bad our veterans were treated this past holiday! I thought maybe I had missed something! I’m embarrassed to say the least. Without them there’s no us. So grateful for their service and sacrifice! The least we can do!! I appreciate your prompt response to my email. I really want to read your book. ☺You are welcome and thank you!! I’m amazed to hear disrespect for armed forces. From some comments you hear these days the thought pattern seems to be armed forces are a group of blood thirsty people who delight in going to war because war satisfies them. There are very few of that kind. The facts are soldiers are servants of the nation and are sent sometimes unwillingly into battles they wish were not necessary in order to protect our way of life and do their best to ensure our future safety. Why would we want to disrespect these brave souls who have families they leave behind so we can be safe? I don’t understand that mentality at all!. If it were not for the American soldiers fighting beside our Australian troops we in the South Pacific would be living as slaves today. We are so grateful that there were people willing to die to protect our families and allow them the prosperity they enjoy today. The same thing with battles in Europe. My wife was a refugee who came out of that kind of enslavement in WWII and is enormously grateful to the American troops who freed her family from the Nazis. To her that was not an illusion. The experience living with that as a child haunts her today. Thank you for reminding us all that without our soldiers we would not have the lifestyle and freedom to express our dissent we have today. Bravo, this is fantastic. I completely agree. My mom’s dad and her brother both served, and every Veteran’s Day, I am always so grateful for their service. My brother and I have friends who are currently serving, and I have dated guys who have considered enlisting. I am always so in awe of the men and women willing to face their own mortality and experience the closeness of death, while I live safe in their service. I saw a few posts thanking those who had served the few days before Veteran’s Day, but on the day itself, all was quiet. It is such a shame that the people that keep us safe (including place officers) are being forgotten and disrespected. Again, thank you so much. I will be sharing this. Thank you for caring. Back in 66-71, nobody ever thanked us. All of the thank yous that weren’t said after Vietnam can never be replaced. While we appreciate the thank you that we got this year, for most of us it’s too little too late. And I would love to see Mr. Hall make his comments to the face of a Vietnam veteran who fought for the freedom that gives Mr. Hall the right to spew his venom. Sorry, but I couldn’t let it go by and I’m surprised that you have left it posted. It’s just another slap in the face to me and thousands of other veterans. Enjoy your evening. One more rant… this are your words… “It’s time we stop and give those brave men and women the standing ovation they deserve. Put aside your feelings about Trump, or guns, or our involvement in the War on Terror, or even your political affiliation, and show some freaking appreciation.” If you really want to show us some freaking appreciation you’d remove his comments. Veteran here. Worse, a Veteran who works supporting other Veterans and their widows and their orphans when both parents have died when these beneficiaries cannot take care of their finances for multiple reasons of incapacitation. Oh and worse yet, voter for Trump. Glad to see you get the picture and are supportive of the men and women who allow others to have their safe spaces by putting their lives on the line. That’s very heartening. So, really, thank you! I spent the weekend with my little girls. So, I feel very blessed in that. Bloodthirsty as we got was watching The Grinch Who Stole Christmas. It’s good to be home, alive, and having my chance to continue on doing the things I love. I appreciate your kind words in your post. Thanks again! I get what you’re saying. As someone that grew up in the military it bothers me deeply how this country of ours treat the veterans. They deserve far more quality care than what they get. I will say though my social media experience was different than yours but this is likely due to the large number of vets and active duty in my friends list. If they aren’t serving or have served, then they are married to or immediately related to someone who is. I saw plenty of personalized and individualized expressions of gratitude on Facebook. So I can comfortably say not all of us have forgotten. I didn’t see any generalized thanks going up. It’s easier I think to thank someone you know. My sons that are going to public school brought home “Thank A Veteran” assignments to give to my dad. The class was to either write or draw their gratitude or glue a photo to the sheet of paper. It was nice to come to visit the school for their grandparents’ luncheon and see all the completed sheets posted on the hallway wall. So many of them had photos of these kids posing with their loved ones in uniform. Honestly I can’t speak on the behalf of anyone else, but my children at least are aware and do understand. It’s just we’re quiet about it because that’s what I think my dad prefers. He couldn’t even go with us to see the Moving Wall when it came to our state. He claims he doesn’t have PTSD, but I see the guilt in his eyes whenever the wall is mentioned. He hardly ever talks about Vietnam. Right on target as always! And was that a “Boy Meets World” pic I saw? I think one goes through so much there it’s hard to be normal, again. Let alone, meeting other normal people that could relate or appreciate it. The little boy I was when I left is somewhere with the other little boys kinda, wondering, when its time to come home. My uncle became a pilot and was a Native, he didn’t like the distinction as first Native anything so he joined the Airborne and called himself a Ranger, not a pilot. Haha. My grandpa, also a Native and a pilot. There was a helicopter pilot, a Seawolf. A few marines. An IED disposal guy. My other Uncle’s cousin was Ira Hayes. Oh. Me. I would spend summers with them. Learning. I was not the best, anything. Haha. The competition is fierce the more specialized you become. I did pretty good for a reservation kid. I still help other veterans as much as I can. Like you. Help everyone. Thank you. My family. We go back to the 1860’s with the Army. The 1500’s with Spain. We wanted peace between Natives and, newcomers. We did fight for territory of six states. Well. We know how that ended. The stigma is always there. We were not poor people we were made poor to create this nation. Yet we are not treated the same. There’s no one left to fight anymore. So. We’ve diverged into new territories. Several nurses. Two doctors. Many artists. The origin of Veterans day was to promote and celebrate peace. I can see in my history almost two hundred years of warriors to get to our first doctor. Many fought and died before we were recognized as American citizens even though most were born in Nevada. So. I earned peace finally. Just like everyone else that did not earn it. In my opinion-the elite media are intent on erasing our history and confusing individual freedom, a democratic republic in favor of democracy and the good of the majority. The idea that our citizens volunteered to defend our constitutional rights is an anathema to those bent on perverting the constitution or discarding it altogether. Our society as founded is a God given miracle and there are fewer and fewer that recognize that. We’re going to have to go through some ugly times before the great awakening happens. I am blessed to have a fellow disciple of Christ that tells it like it is that I follow here. God bless the USA and those that serve to defend this great country. THANK YOU!!! Your post meant so much to me and touched me greatly. My son is in his 6th year in the Air Force…his first 15 months in Turkey, 2 years in Japan and 1 year in South Korea. I can count on one hand the number of times I’ve seen him. Even family has kind of forgotten about him…no more cards or care packages sent to him. Those in the military are so easily forgotten…it’s sad. Well said, Caralyn! Couldn’t agree more! M. A.
Bless you for remembering us Vets. I would slink around in my hometown wearing hats to hide my short hair when I returned home from Vietnam. We’re doing better for our Vets now, but we still have a long way to go. Hi Caralyn, thanks for sharing this. I’m Canadian, as you know, so we call it Remembrance Day. I was like one of your other commenters, who said that he didn’t display his support publicly like he should have. I meant to get a poppy from the cadets who always have them outside the grocery stores, but I never had any change in my pockets. My church even gave them out the Sunday before and I forgot to get one. I haven’t recently, but I make it a point to thank every veteran that I meet for their service and it is always much appreciated. I was at work on Saturday and my foreman made it a point to stop work and have a time of silence. He told me later on that he grew up in the Netherlands, after the war, but during the war his parents had planned to move. Three days before they were to move, the apartment block they were to move to was bombed. If they had moved beforehand he wouldn’t have existed. God had a plan! Thank God for the many men and women who gave their lives for our freedom and for the many more today that serve, both in the USA and in Canada. I am so sorry to report that in 2017 the U.S. was demoted from a full democracy to a flawed democracy for the first time, according to the Economist Intelligence Unit (EIU). From the beginning, America has been a democratic republic with discreet states joined together. The Senate is designed to give small states, with smaller populations, some equality. The USA has 326 million citizens in 51 states, compared to the 22 million citizens each of Canada and Australia. Texas and California have more people than either of the two countries you mention. The Electoral College is a reflection of our congress: one electoral vote for each representative and senator. The purpose is specifically to keep the top 10 states (who have the majority of voters in the U.S.) from ruling the other 41. Von Smith, size has nothing to do with the ranking of the US as a flawed democracy. The US is ranked only slightly higher in the flawed group then India – the world’s largest democracy. Full democracies are nations where civil liberties and basic political freedoms are not only respected, but also reinforced by a political culture conducive to the thriving of democratic principles. These nations have a valid system of governmental checks and balances, independent judiciary whose decisions are enforced, governments that function adequately, and media that is diverse and independent. These nations have only limited problems in democratic functioning. Thank you for sharing your thoughts your comments were very sobering to me. Thank you to all the men and women in our country who have risked their lives to ensure our freedom! Well done. An overdue spanking for a lot of us. Including myself, and I was drafted in 68 but your words hit the mark anyway. I thank God for you. You are wise and old for your years. 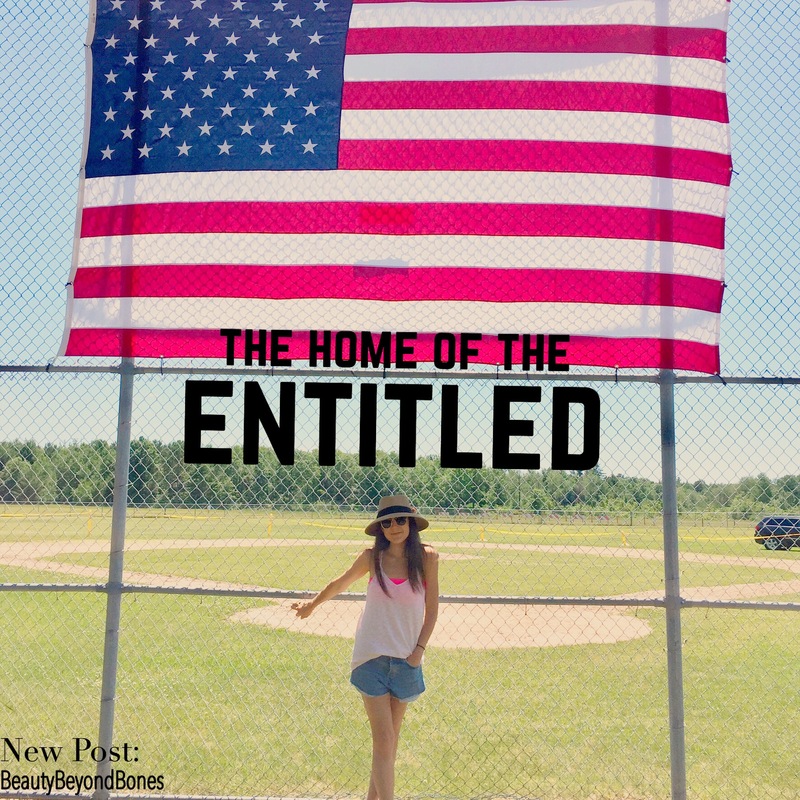 A popular political blogger (whom I won’t name here because the one time I shared a post from this author that I thought was something everyone agreed with I still got called out as a racist full of white privilege) wrote a piece a few months ago about how the United States of America is basically nonexistent, because there is nothing that unites us as a people anymore. In light of what I just mentioned above, and of what you said, it’s sad to think that there may be quite a bit of truth to that. All of this has had me wondering the last few years if I should have left California when I had the chance. California is in my blood enough that I don’t know if anywhere else will ever feel like home, but the culture and government here are quickly and aggressively moving away from my beliefs and values. Part of me feels like I’ve exhausted every possible way to be happy here. But another part of me feels like I probably still have problems that I’d bring with me wherever I went, and I have a lot more to lose now than I did when I almost left 12 years ago, since I have a mortgage and I actually like my job. I saw almost non-stop acknowledgement of Veterans Day on social media, there were numerous events and such going on for veterans. Maybe it is because my husband, father, other family members, and many friends are veterans I was so conscious of it all. I’m sorry to read that you didn’t see the volume I did of people making a point of thanking veterans for their service. I teach at a community college, and can attest that every veteran I’ve taught is a pleasure to have in class. Deep thinkers, and well aware of the subtleties of American politics. I often think of the 2000+ veterans who travelled to Standing Rock when the Dakota and other indigenous nations were praying to block the oil pipeline. Those veterans were going there, unarmed, and ready to stand between the people and any armed offensive aimed at their removal. Truly heroism, and testament to the personal sense of justice that can motivate selfless actions, despite what those who are “in charge” of military actions are actually up to. Much respect and thanks. Thank you for bringing that to the attention of everyone. Having been born in an Air Force family it went without saying that Veteran’s Day was recognized. In fact, my maternal grandfather was a US Marine in WWII as well. I lived outside Washington, DC for over a decade and it was always a bigger issue there, but you are right, it seemed to come and go without notice this year. The fact that I live in a Northern California suburb now should not make a difference. I forwarded your blog to my father, a retired Air Force Lt. Col. who still lives outside DC. My mother, now in heaven, was laid to rest in Arlington Cemetery, close enough for both of her parents to still keep an eye on her. I so agree with you on this. It makes me sad for our Veterans the way we are behaving here in this country and the way we are behaving is gradually wearing away at our freedom.. When I was a little girl I remember our neighbor was a WWII Veteran and I loved him dearly, the sweetest man. He got cancer and my mother took my sister and me to visit him at the VA Hospital in Nashville. This was back in the late 60’s during Vietnam and I was only 5 or 6. What I saw left a deep impression on me. The sick and wounded in that hospital and my mother looking around and saying, “This is so sad.” I have loved our Veterans ever since and I wish I could hug every one of them personally and thank them. Whenever I get the chance I do. My great uncle was at Normandy where he drove one of the landing craft. He received a Purple Heart and Silver Star. You never heard him speak about it because he was so humble. I guess it was because he just did what he had to do for this country and that’s just the way it was. Another uncle flew gliders during WWII and once again was very humble. Just so many brave and very young men. It’s amazing what they did. Thank you so much for this post! I agree, we need to show our support for those who have sacrificed so much for our freedom. My husband’s uncle died during Pearl Harbor. My father served in the Navy during WWII , my great uncle was a paratrooper during WWII. There are countless others who served and even gave their lives so that we could be free. This veteran’s day we took my husband out to eat to thank him for his service. He was in the military during Desert Storm. Thanks again for the post and a huge thank you to all veterans who have sacrificed for our freedom! God bless America! I had quite a different experience. My friends and family FLOODED social media with Veterans Day memes and posts. There may have been a generational difference there (he wrote, mentally compiling some very loose statistical trends). There was definitely less pro-veteran language and sentiment among millennials. But all generations certainly saw flags, testimony and deep respect paid to veterans. In fact, I pretty much see pro-veteran stuff all the time. And I live in the Northeast, where people are supposedly peacenik hypocrites. I think the recent PBS series on the Vietnam War is helping people face the music about how confused society was about our veterans then. It was shameful; I remember. But truly that’s all gone now where I live. Our military has often been controlled by warmongers. They train and use these young people as tools to manage the nations of the world. China and Russia have drawn the line. We will now see what develops. Continue to write and share the things and in the style you’re so good at. Peace. Thank you for this post! Love your clarity of heart and thought. Love your backbone. And such a contrast between age groups then/now. Remembering and giving thanks with you! You’re utmost welcome as always! Thanks much && God bless! Big hugs to you as well. You are fired up, aren’t you? And rightly so. Remember; You’re in NYC. As one from New England, Veteran’s Day was a to do more so in the rural areas where I grew up than in, say, Boston, where I lived for a time. I’m still in the city (D.C. Metro area, now), but people are big into Vets because there’s so much military around here. It’s nice. What we’re seeing though is huge cultural change. Generations that fought and are more civic-minded are dying off as a, let’s say, different generation with different life experiences is rising. What you are expressing is being out of step with your own generation. Gloriously out of step. Not all are entitled. Something big will happen and people will step up. You’ll see. But yeah, your anger is completely justified. These people fought and died for us, many VOLUNTEERING to do so. Not to honor them, or worse, to actively mock them, is an utter disgrace. Caralyn, I’ve been thinking alot about this post. And you’re right we need to do more to recognize them, and appreciate them. These men and women are the real heroes! Not some football player. But I think it has to do with 2 reasons. First, I think is because we are a more secular society. Meaning without faith our values change. And our culture is more about making money now, through our careers etc. Secondly our political climate in this country is the worst I have ever seen in my short lifetime. Regardless of what side we are on, it is so toxic and unhealthy now. When I was growing up politicians talked about issues. Now it seems to be more about slinging mud than anything else. Our country is just constantly arguing. So our environment for patriotism takes a big hit. Anyway these are some thoughts I had. More people need to have a heart change. Peace. As a 21 year veteran of the Submarine Force, Thank You for your kind words. Thank you. A very important post! I am a Vietnam veteran. You are right; most people have no mental or emotional connections to the military; many citizens have no idea what military service is like or for. A polite, “Thank you for your service” feels like a smarmy, condescending brush-off, disguised spit. They are just dodging support for the wars in which we served, and the government during those wars. Maybe a small committee of pacifists sat down to create a way to save face without giving real gratitude. “I’m glad you made it back,” or “How are you now, after being in the military?,” “I hope you are well,” “Thank you for my freedom” or “Thank you for defending our country and my liberty,” something sincere. No gratitude, just ignorant, political correctness. I can hardly criticize the young; this idea of war veterans has been cultivated and passed on by the grandparents who opposed the war in Vietnam. Maybe a tour in Afghanistan would trigger real appreciation. Thank you for posting this! It seems our society is getting sicker by the day and most have forgotten (or never known) what is truly important! At least most of those who are free to spout off at the mouth over such pettiness. This reminds me of spoiled children who have never had to work for anything in their lives and are deluded with self-importance, disregard for others and a twisted view of what struggling, suffering and lack of FREEDOM truly mean. Thank you. Thank you. THANK YOU. God, it’s such a relief to hear someone in my age bracket acknowledge the men and women who literally LAY DOWN THEIR LIVES for the freedom we not even take for granted, but basically spit on these days. I shudder to even admit this in today’s political climate, but I am a republican more or less (I think most people nowadays have to straddle the fence with the crazy platforms and issues that shouldn’t even BE in the government’s hands in the first place) and you’re right, it’s almost as if being patriotic or recognizing the immense sacrifices made for this all-too-often ungrateful nation is frowned upon. And I get it, republicans aren’t very popular nowadays, but honestly, patriotism and gratefulness for those who earned your freedom for you should never be a partisan feeling. This is a great post. Following your blog! I just commented on one of your other posts about the selfishness of our society and this post is another example of that to me. Sadly, honoring our veterans should be as a-political as it gets, but our current divisive environment makes veterans nothing more than a political talking point against an opposing opinion. Unfortunately, people forget that our veterans, while in the military, follow orders, regardless of anyone’s thoughts, feelings and opinions – but not without respect to those thoughts, opinions and feelings. If it were not for a medical condition that prevented me from joining the military, I would have gladly done the same as a brother of mine, my grandfather, a few cousins, my father-in-law, and other members of my family, as well as s cereal friends. And to top it off, I am proud of my own daughter that serves as a reservist and subject to being called to active duty. Bottom line: Our veterans and military members are willing to make the ultimate sacrifice and I pray to God to keep them all safe. Thank you so much for these words. My 3 brothers and I all served along with my Dad and two of my uncles, and my stepdad as well. We cover the range of conflicts from WWII, Korea, and Vietnam. I remember in the 70’s, when I served, our platoon and company commanders warning us to never wear our uniforms off-base because many civilians then expressed disgust and hate toward vets after the Vietnam War. It is much nicer these days for both active duty soldiers and vets as far as the attitude toward us goes. Once more, thanks and many blessings to you.